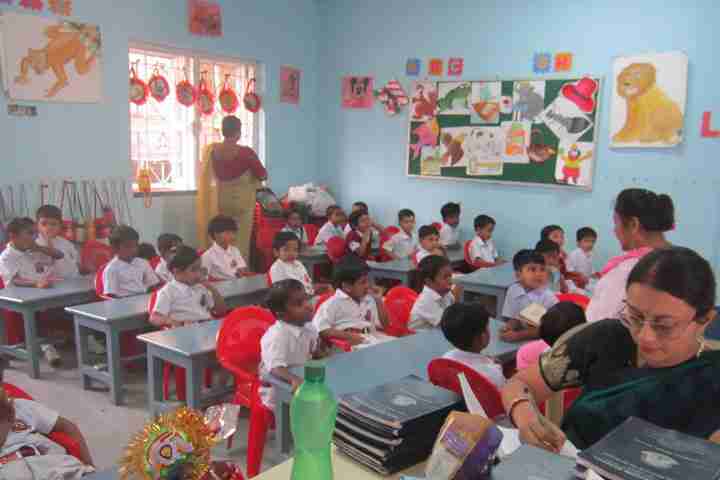 Ideal Mission School is located at A – 38, Srijani, Joka, Kolkata – 700 104. It was under Joka – II Gram Panchyat at the time of foundation. There was not a proper English Medium School in this locality and aspiring students had to travel far for education. To realize the dreams of those countless parents who could not study in English medium school due to different on constrains but had cherished the desire to send their children to an English medium school to be groomed and enjoy excellent education in child friendly ambience. The school started functioning since 2010 with lower classes up to class II and each year one class is added and now it is up to standard VIII. The school started its journey with 52 students and the school aims at providing effective and comprehensive quality education for all communities towards all round development with social and moral values. Through the medium of English with adequate to mother tongue. The present roll strength of the school is 400plus and the number of students is remarkably increasing every year. The parents are co-operative and helpful, the teachers are dedicated, qualified and competent. We aspire to become the best school in this area in near future. The school is facing at present acute shortage of rooms for taking more admissions of new students. We need to construct 12 rooms urgently and looking for help from other institutions/ organizations etc. To fulfill our dream for education. To realize the dream of those countless parents who could not study in English medium schools due to financial constraints but had cherished the desire to send their children to an English medium school. IMS made it possible for all those parents who want their children to groomed and enjoy excellent proactive tutelage and joyful learning in child friendly ambience enhancing the student’s creativeness, healthy competitiveness, aptitude, positive attitude and all round personality development. •Teaching methodology enhances "Creativity ". •Inclusion of "Value Education" in regular timetable. •Academics go hand in hand with recreation based activities. •Periodic academic and sports competitions encourage "Healthy Competitiveness". •Teachers constantly inculcate "Civic Sense" among pupils by being role models. •The members of School staﬀ guide the pupils in having excellent "Table Manners" during Refreshment Break. •"Good Parenting" workshops organized at regular intervals for Parents and Guardians to make them aware of parental responsibilities. 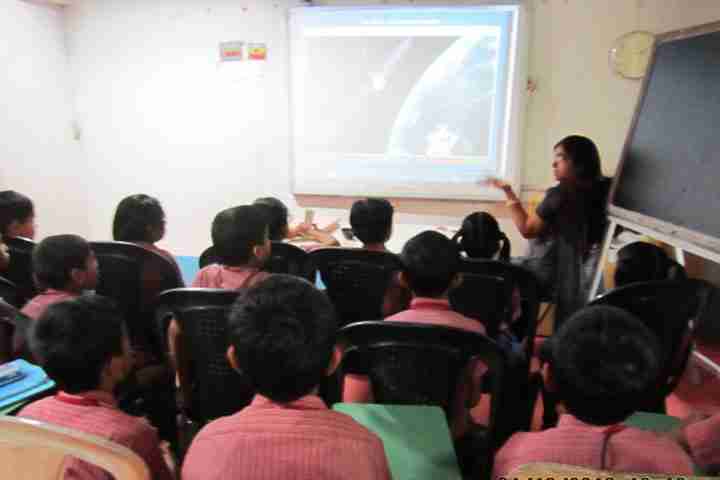 •Counselling sessions organized for pupils by experienced counsellors. Highly professional and motivated teachers take care of the children and encourage initiativeness, creativity, critical thinking, communication skills and leadership qualities. A well advanced Science Laboratory and the Library help students to develop good understanding, interest and conﬁdence towards the liberty of learning. and digital learning facilities. Language Lab also enhances teaching through audio visual aids. Co-curricular activities impart training to students for their personality development as well as development of skills and talents. The school provides a big play ground, beautiful garden and swimming pool for children of lower classes and outdoor games stimulate for better mental and physical development. PTA ACTIVITIES: PTA meetings were held at regular interval to review the activities of the students and seek parents feedback followed by valuable suggestions. Various orientation and awareness programs were organized for the parents. activities are the complements of daily curricular activities. The conducive and congenial environment in the school enthused to participate in varieties of intra school activities/competitions. Prime co-curricular activities were - Rabindra Jayanti Celebration, Rakhi Making Competition, Durga Puja Board Decoration, Rangoli Making Competition, Quiz, Drawing and Dance Competition. The competitions were held among the group of various names like Green, Yellow, Red & Blue. SPORT DAY: Annual sports meet was inaugurated by Mr. Jnan Prokash Poddar, Secretary, IMS, The outstanding performances by the students in various events were appreciated by the spectators. Winners were awarded by the School Management Committee Members. Yellow House became the Sports Champion for the session 2015-2016. ANNUAL FUNCTION: IMS celebrated its Annual Day on 11th May, 2015. This year the Annual Function was organized at Thakurpukur Cancer Research Center Auditorium. The main attractions were Pre Primary section's Dance on Prem se Humko Jine Do and Dance drama “Chandalika” by Primary and Secondary section students. The performance of the students was highly applauded. On the same day the students received their certiﬁcates for their participations in diﬀerent events as well as co curricular achievements. Signiﬁcant days of national interest like Independence day, Children's Day, Teacher's Day and Republic Day were celebrated in the school in due manner. STUDY TOUR: As a part of study tour, our students visited “The Indian Museum” in January, 2016 to get acquainted with the glory of culture, environment, heritage, science and history of our country India. The school will be upgraded to class XII.